This month we read the delighful (if a bit fluffy) Nowhere but Home by Liza Palmer. For those of you who didn't get a chance to read it, it is about a woman from a small town in Texas who has been moving from city to city to avoid coming home, but finally runs out of options and must face her past. A fairly good chef, she takes a job cooking last meals for a nearby prison. Overall, folks seemed to enjoy the book. Vernetta could really relate to the experience of the main character, as she grew up in a very small town, and had a mother who had married five times. Katie also grew up in a small town, and found parts of the book a little unbelievable...particularly that they would all have attended only one church. She also had trouble believing that the main character could be so isolated much of her life, then connect so well again once arriving home. But Madeline thought this was just a good example of compartmentalization, if a bit unbelievable. Laura thought this was a sweet book, with a nice light feel and zipped through it in two days. Dawn was particularly fascinated with the idea of last meals, and we had a discussion about who could cook (or eat) one. Was reminded of the No Seconds photographs of Henry Hargreaves. (While looking for that link, I found an even more chilling one about a series of Amnesty International photos depicting the last meals of wrongly executed people!) We were a little surprised there wasn't more exploration of the death penalty as a topic in this book. The main character just seemed to accept it, and was more troubled that she was cooking for a serial killer than that she was cooking for people who were about to die. Overall, a nice read with wonderful food descriptions, but alas, no recipes! We had a very tasty Southern style feast (in large part thanks to Katie's new smoker! ), which Madeline had to miss out on, as she was phoning in from the hospital. 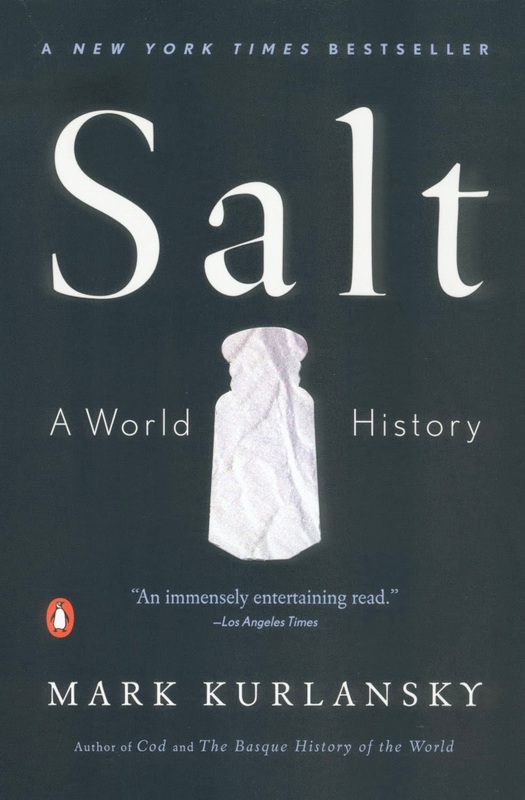 Next month we will be reading Salt : a World History by Mark Kurlansky. Be sure to bring lots of water!